World Renowned Holistic Dr. Sebi was arrested for having 37 thousand dollars and was taken to a jail in Roatan. While in police custody Dr. Sebi died due to health complications. The doctor (known for curing individuals with AIDS, Diabetes, cancer and more) passed on August 6, 2016. Rest in peace and thank you for being a vessel of healing for many. His daughter SaamaBowman confirmed Dr. Sebi death via social media and varies credible media outlets. Why was Dr. Sebi arrested for carrying that amount of money when it is known he was a celebrity? How long was he kept in jail and why did suffer from health complications while in jail? Blacktopia will update you all as we receive additional information. h20r F.A.M.I.L.Y. 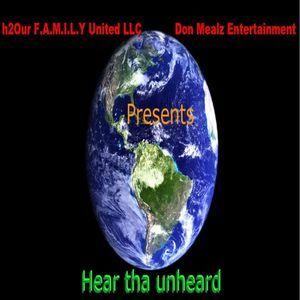 United LLC and Don Mealz Entertainment Presents HEAR THA UNHEARD! This mixtape is a solid release and showcases many different rising hip hop recording artists from many different areas! Check out the mixtape below on Dat Piff. Stream it! Download it! Share it!